Doc/Fest 2018: That’s a wrap! 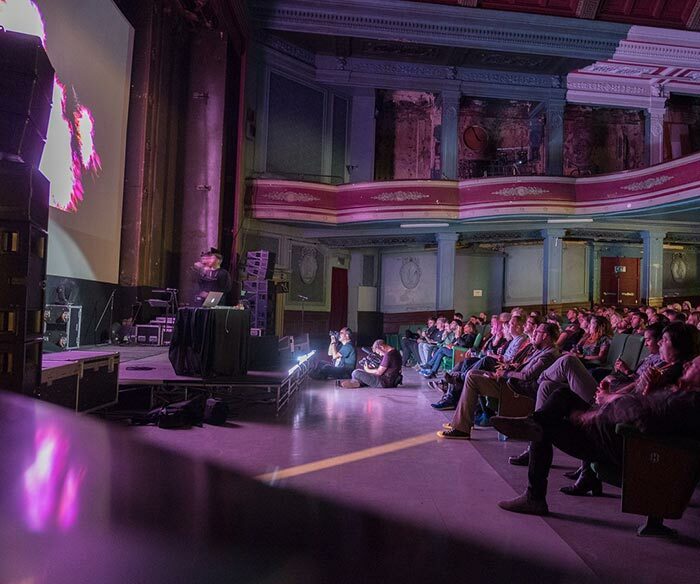 Taking pause at times to dab away a nostalgic tear or two, Mark Perkins reflects on the highlights from the 21st instalment of Sheffield’s flagship film festival. … And it reflects what I heard time and time again during the last week – people just love coming to Sheffield for our very own international film festival. This year was the 25th incarnation of Doc/Fest; now regarded as one of the best film events in the world. Almost all the venues are within the centre of the city, which is unique among film festivals, and gives the delegates a feeling of being at an actual festival, and just as importantly, lets them fall in love with the Steel City itself. Documentaries are now mainstream entertainment. Everyone has a story to tell, whether it be profound and moving, or small and very personal. The magic and the appeal of these films lay in the variety of ways that skilled filmmakers present it to the audience. I’ve learned over the years that the slightest of stories can be made totally unforgettable in skilled hands. Some stories are so big it’s not easy for one person’s film to tell the whole truth. ‘Grenfell’, the closing film of the week, was an exhausting, horrifying and incredibly upsetting experience. The fire is only now beginning to be seen as a tragedy which was so easy to predict, but where the voices of protest were ignored for years. Watching the film is one thing, but what Doc/Fest often offers in addition is a Q&A with the makers and sometimes even the protagonists of the films. That was the case here, and the words and conversations which took place after the film were even more upsetting and emotional than the film itself. Doc/Fest’s original and spiritual home is the Showroom, and of the many films I saw there, ‘Love Means Zero’ probably surprised me the most. It was about tennis, about which I know almost zero, but it turned out to be one of most compelling documentaries I’ve seen in years. 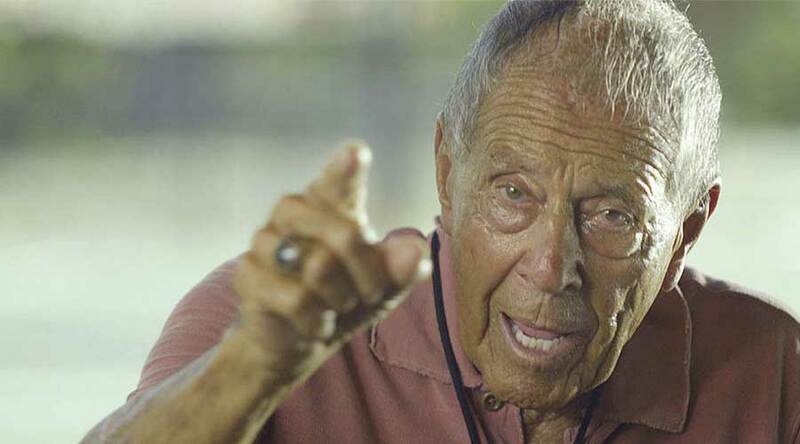 Via a series of simple face-to-camera interviews, it told the story of Nick Bollettieri, one of the world’s most successful but ruthless tennis coaches. His brutal treatment of young players who weren’t quite good enough was laid bare for all to see. As the film unfolds, he begins for the first time in his life to accept the havoc caused on his part, but Bolletieri’s relationship with protégée Andre Agassi is the film’s most fascinating part. Bollettieri’s initial reluctance to reflect on the past – and Agassi’s point-blank refusal to co-operate with the film – make for a fascinating experience. Add to the mix testimony from players he’s worked with – and in some cases abandoned – and you’re left with a brilliant film. The opening night film at the City Hall was ‘A Northern Soul’, by celebrated documentary director Sean McAllister. His parents live in Hull, the city of culture, but also a massively Pro-Brexit city. The impact of austerity in the midst of these two disparate forces became the film’s background, but the film’s narrative followed the story of fork-lift driver, Steve, who spends all his spare time working with a group of young and somewhat vulnerable junior school pupils, teaching them to rap and perform. I wasn’t as impressed as I thought I would be by this film, as I felt it gave scant attention to Hull’s Brexit conundrum. The city embraces a multi-cultural world of dance, music and art on the one hand, but rejects being part of European the other. It would have been interesting to see more of that explored. The Alternate Reality strand of Doc/Fest has been expanding in recent years, recognising that there are now more ways than projected film to tell a story. Put on a VR headset and you can be immersed in the story, even be part of it, and that’s what went on this year in the iconic Trafalgar Warehouse. The place itself has stories to tell, and it was the perfect place to discover alternate worlds. Between films I called in there several times, and most memorably sat down with a virtual David Attenborough. He handed me a selection of precious museum exhibits, which I was able to pick up and examine, or so it appeared. The technology behind this is becoming more sophisticated every year, and it’s a credit to the vision of the Doc/Fest team that they are highlighting this form of storytelling. And it was all free, open to anyone to go in and have a look. Reeps One, the beatbox superstar, made an appearance at the Abbeydale Picture House this year. Before the festival, I interviewed him for Exposed, so I was excited to hear the things we’d discussed regarding the limits of the human voice debated in a live setting, and his show certainly did not disappoint. Unsurprisingly, there were several of his YouTube fans there, but the real impact was with those Doc/Festers who had made the journey out of town to see this astonishing show. Beatbox has never featured on my musical radar until now, but this was something I’d never seen performed live before. The obvious and almost universal reaction to the sounds he produces is ‘how can he create all this with just his voice?’, but from talking to him, this is the reaction he wants. He’s determined to challenge people to ask themselves just how far can their own unique voice be taken? The film ‘Laila at the Bridge’ should come with a warning about the effect it will have on anyone who sees it. The film tells the story of Laila Haidari, and her fight to rescue heroin addicts, many of whom have nowhere to go, apart from under a bridge in Kabul. She herself survived being a child bride, and now, freed from this form of slavery she works tirelessly, fighting against corruption, drug-dealers and other sinister forces, to help people that the rest of the city has abandoned. One scene, where a mother gives her infant child heroin to calm it down, made the entire audience gasp and was extremely difficult to watch. It’s a scene the director said at the Q&A afterwards just happened in front of her, and she had to record it. It’s also a scene which I imagine you will never see if it is ever shown on TV, but I’d still encourage you to see this film if you really want to understand the problems drug cause. Truly shocking, but then again – that’s Docfest for you! ‘No Greater Law’ is another film with a very sinister tale to tell. In Idaho, the Followers of Christ seem to be a peaceful, loving Christian community who prefer faith healing to modern medical intervention. Unusually though, their choices are protected by a state law, unique to Idaho. The plain fact is that children die, and a mortality rate which is around 3% nationally is estimated to be about 30% in their community. No one can ever be charged with neglect while this law exists to protect their right to refuse modern medical treatment. Pressure is growing for change, but with such an embedded fundamentalist Christian presence in the law making bodies, it looks like this will take some time. The most remarkable aspect of this film is that it is a perfectly balanced documentary, when it could so easily become an opinionated witch-hunt. The filmmakers made great efforts to become trusted by the Followers, to the extent that we can hear their side of the story, leading us, the viewer, to make a much more informed judgement. 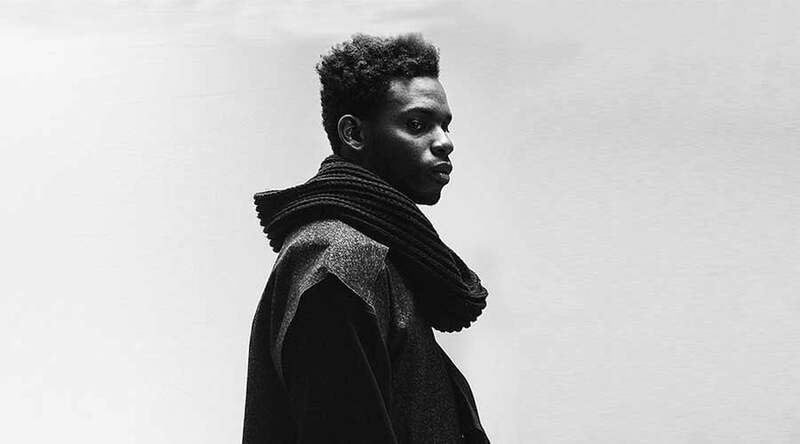 Gaika is a Warp Records artist. That alone will inform most people what they can expect to hear while watching a film to which he added a soundtrack. I’d booked my ticket ages ago and had overlooked the fact that he was adding music to the film ‘Black Mother’, which I’d already seen a few days previously. My failure to read the programme was actually a bit of serendipity, as I was possibly one of only a few people to see both versions, and so was ideally placed to see if his soundtrack added to the film or not. The result was even more captivating than before. The film itself is a tapestry of sounds and images, sometimes related, sometimes less so, which combine to create an impression of this part of the Caribbean which is totally beguiling. The ambient dub of Gaika’s music was never less than hypnotic and seemed took the images to another level. The festival actually started for me just prior to the opening film, as I had landed myself a part in the remake of ‘Threads’; the seminal post nuclear apocalypse TV drama, filmed in Sheffield during the mid-eighties. The director of the remake, Richard DiDomenici, has a growing reputation for no-budget remakes of scenes from classic films, all set in the original locations. 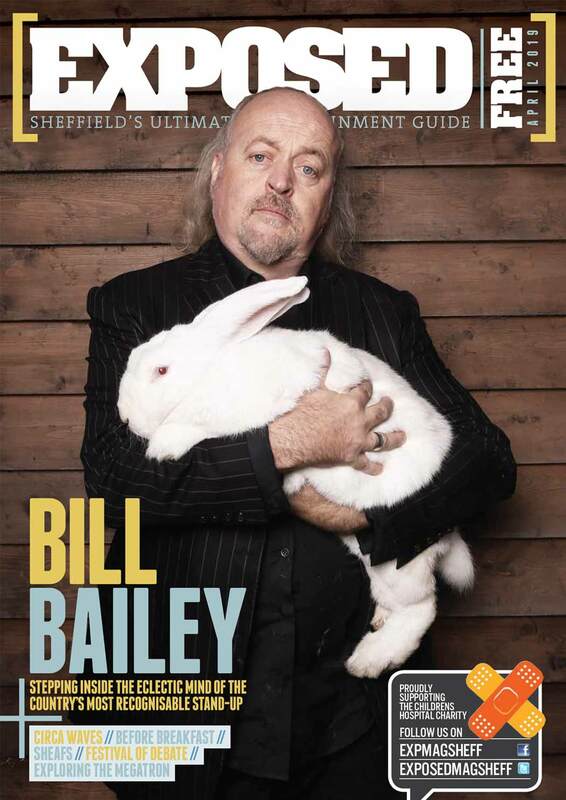 He picked three iconic scenes, and then asked us to drink at the Notty in Broomhill, protest on the steps of the City Hall and run around The Moor in a panic as a mushroom cloud appeared over Sheffield. Richard was forced to use a close-up of a real mushroom in his version. As an added bonus, the production crew had managed to find three people who featured in the original. The parents, who previously clutched their 18-month old baby and ran past Woolies on The Moor, tried to recreate the scene. As their daughter is somewhat older now, they made a valiant attempt, which made an amusing story when a hastily edited film was shown to an audience in The Leadmill on the Saturday night. Search online for ‘Threads:Redux’ if you want to watch it. So, Doc/Fest, you came, caught me up in your web of stories and six days later left me exhausted but happy to have been there for the ride. There’s so much I haven’t even mentioned which was part of this incredible six-day festival. Do yourself a favour if you missed out this year – make sure you see at least one thing next year. Some of the events are free, and all of them are interesting.